The Brendeck Bus wash (three brush rollover) is a self-contained moving gantry suitable for the cleaning of bus and coach’s, quickly and easily with no manual labour required. The gantry operates on tracks allowing it run up and down the vehicle whilst the vehicle is stationary. 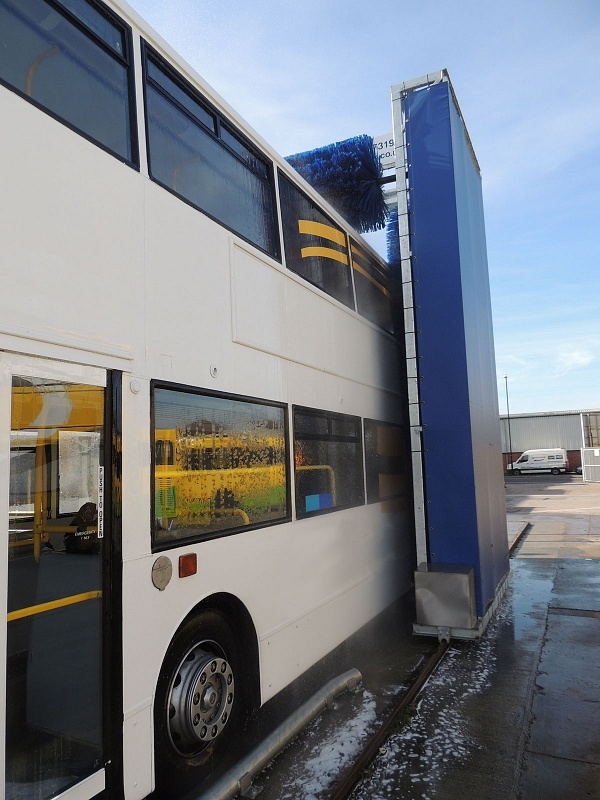 Giving a full two pass wash to the vehicle which provides dedicated detergent, sprayed to the exterior of the vehicle whilst the two sides and top brush are scrubbing at the same time down the vehicle, once the gantry has reached the rear of the vehicle, it then proceeds to work its self to the front spraying fresh water and scrubbing again to cleanse. We can offer options of a single pass wash and a short travel wash facility if time and space are limited. Accurate brush control ensures a thorough but gentle wash. Quietly and efficiently capable of cleaning bus & coaches in less than three minutes.